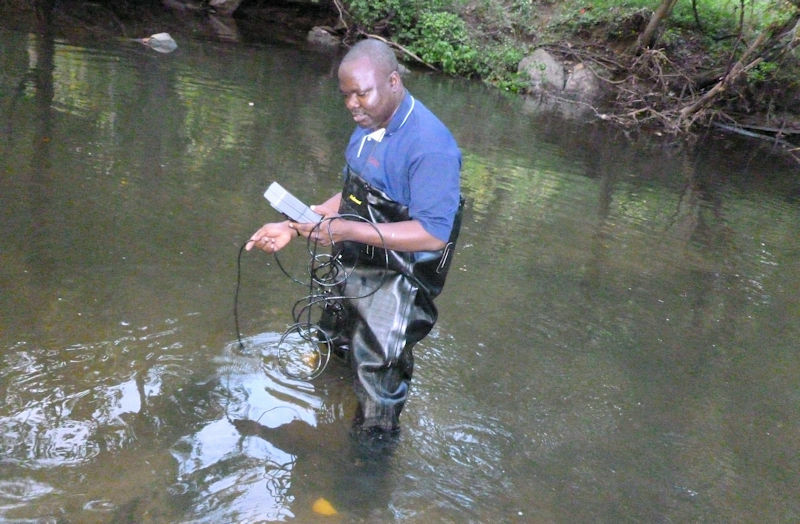 Ivelina Lambova takes measurements to determine water quality when the now-graduate was a student of the University of the District of Columbia (UDC; Washington, D.C.) Water Resources Management Program. Photo courtesy of Tolessa Deksissa, director and coordinator of the UDC Water Resources Management Program. The University of the District of Columbia (UDC; Washington, D.C.) Water Resources Management program is challenging tradition. Students interested in water resources can take part in the university’s unique, multidisciplinary approach to the topic. “[The] traditional approach [to] training in water science and water engineering is not efficient,” said Tolessa Deksissa, director and coordinator of the UDC Water Resources Management Program. 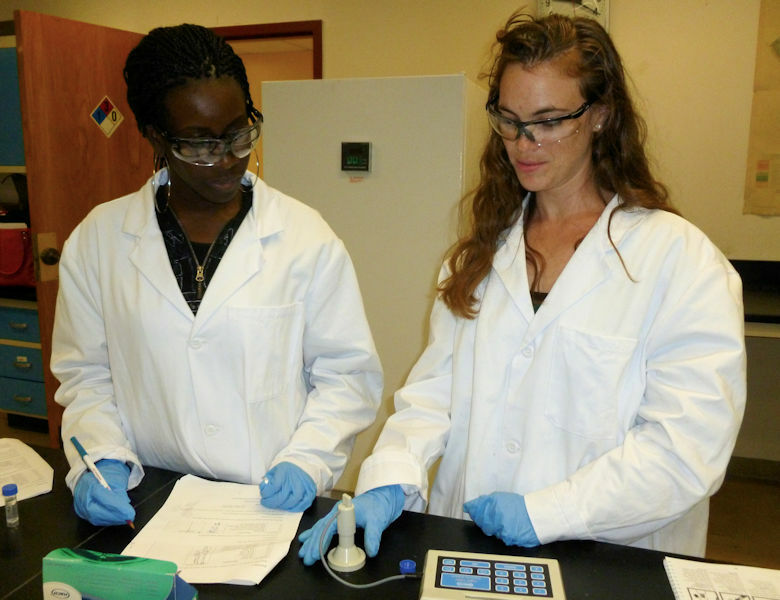 From left, Omololu Dawodu and Mary Farrah analyze lead in tap water while students of the UDC Program. Photo courtesy of Deksissa. As a concentration in UDC’s Professional Science Master’s Degree (PSM), the water program weaves laboratory science and research together with courses on communication and entrepreneurship. It requires students to participate in water sector-related internships or field work as part of their thesis projects. From left, Metea Wright and Olushola Akinleye have graduated from the program, which combines lessons in laboratory science, research, communication, and entrepreneurship. Photo courtesy of Deksissa. Deksissa established the PSM program in 2010 as part of the reorganization of the curriculum in the College of Agriculture, Urban Sustainability and Environmental Sciences. Geographic Information System for Water Resource Management and Stream Restoration. Omololu works with current laboratory technology in one of the university’s state-of-the-art facilities. Photo courtesy of Deksissa. Currently, the program has about 20 students enrolled. This relatively small number enables many advanced research opportunities and hands-on learning experiences, Deksissa said. 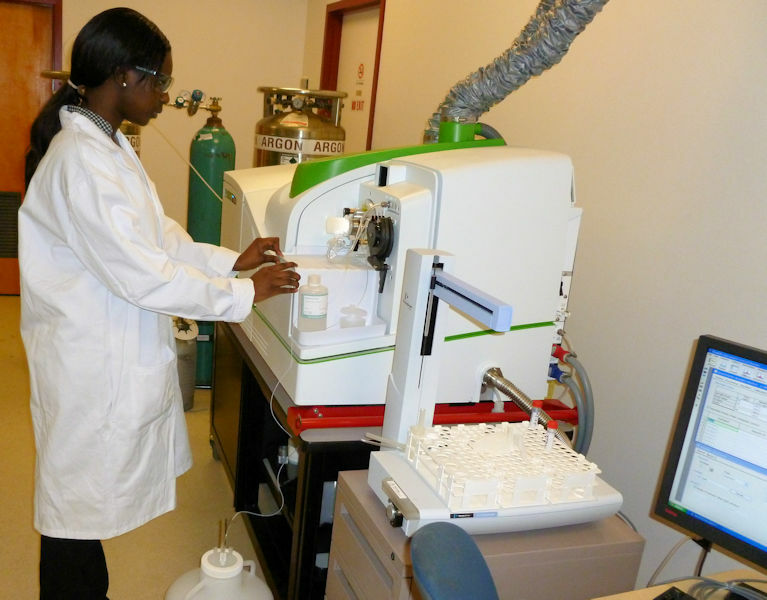 Students in the PSM program have access to UDC’s state-of-the-art laboratory facilities for environmental sciences, including the Environmental Quality Testing Laboratory (EQTL), which provides environmental sampling and analysis for patrons nationally and in the D.C. area. In the past, students in the program have used the laboratory to test water quality in soil and monitor hydroponic agricultural systems. 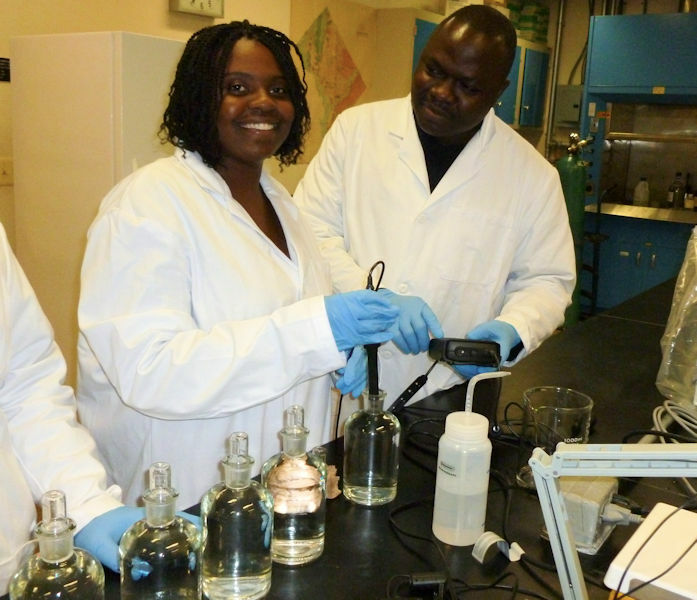 Akinleye measures in-stream water quality as part of a program that was established in 2010 to offer an interdisciplinary, advanced degree for those interested in water sector jobs. Photo courtesy of Deksissa. Students equipped with certificates or PSM degrees have successfully entered the water sector workforce, Deksissa said. PSM Water Resource Management graduates have gone on to work on water treatment and green infrastructure at such sites as DC Water (Washington, D.C.) and the D.C. Department of Energy and Environment in the Water Quality Division.